THE Patents and Companies Registration Agency (PACRA) has this year registered more than 22,000 businesses across the country. The business entities were registered between January and September 2014, with 5,000 being registered from August to September this year. PACRA public relations officer Vaida Bunda said the 10 economic sectors that were leading in terms of registration were in general trading, suppliers, construction, transport, contractors, consultancy, mining, farming and engineering. Ms Bunda said in an interview that the Agency was hopeful that the registration levels would increase significantly with the opening of a provincial office in Kabwe, Central Province. “We have from January to September 2014 registered over 22,000 businesses across the country. We hope that registration levels will increase significantly with the opening of the provincial office in Kabwe. The opening of the Kabwe office brings the number of operational offices in the country to 13,” she said. The presence of PACRA countrywide had helped ease and reduce the cost of conducting business as people did not have to travel long distances to access registration services. The Agency was working on new innovations such asonline payments that would make it easy for the business community to registertheir businesses and file annual returns. 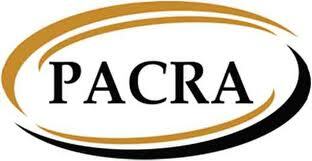 Another significant innovation to be introduced in 2015 was the PACRA call-centre to be based at its head office in Lusaka. “It is hoped that the call-centre will reduce the number of people visiting thecustomer service centres for queries as they will be able to call for advice on all the services offered by PACRA. The Agency pledged to continue with innovations that would ease business with various clients and sensitize people on the importance of formalizing their businesses.